Fox News just stunned President Trump and the rest f the GOP when they backed CNN and Jim Acosta’s lawsuit over Trump and his administration. From The Hill: Fox News on Wednesday announced that it backs rival CNN’s lawsuit against the Trump administration. Fox News President Jay Wallace said in a statement posted to Twitter by Yahoo’s Colin Campbell that the network intends to file an amicus brief with a U.S. District Court in the lawsuit. CNN filed suit against the White House on Tuesday seeking the return of correspondent Jim Acosta’s press credentials, which were revoked last week after a testy exchange with President Trump. 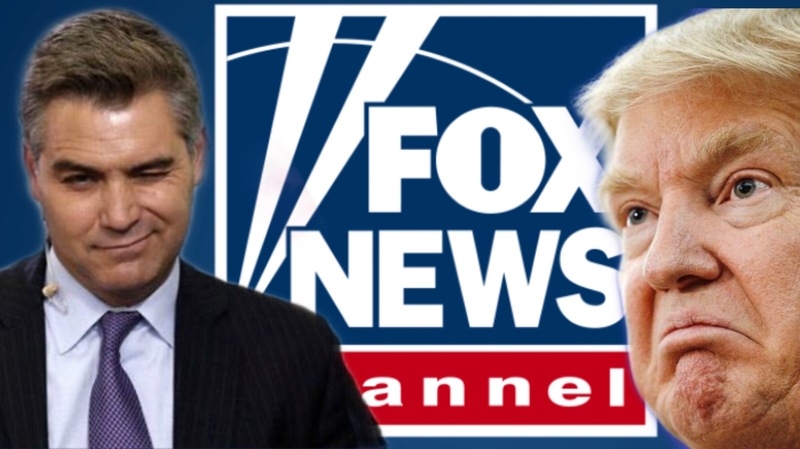 “FOX News supports CNN in its legal effort to regain its White House reporter’s press credential. We intend to file an amicus brief with the U.S. District Court. “CNN a lawsuit against the Trump administration in D.C. District Court,” the network said in a statement. “It demands the return of the White House credentials of CNN’s chief White House correspondent, Jim Acosta. CNN continued: “We have asked this court for an immediate restraining order requiring the pass to be returned to Jim, and will seek permanent relief as part of this process.